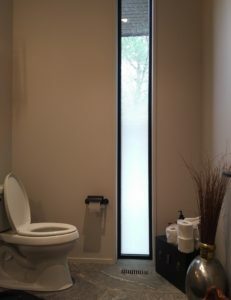 Privacy Film for windows can create an effect that is rich and striking, etched glass is difficult and costly to install and maintain. Altering etched glass is virtually impossible. And cleaning it can be problematic. By installing a decorative window film we are able replicate the look and feel of etched glass at a fraction of the price, and can be wiped clean with conventional glass cleaners. It is also easy to change, allowing you to update your look without replacing your windows. Need to add privacy to the family washroom or the front foyer. 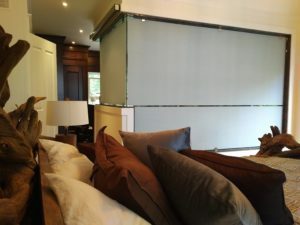 Want the privacy without curtains or blinds? Privacy Films are available in a range of finishes, patterns and colors – offering stylish, add privacy without sacrificing natural light. We now offer Custom Printed Privacy Graphics – Even though we virtually have hundreds of Decorative Films available to us, sometimes our “off the shelf” products just won’t work for your application. Printable films from Madico are optically clear also block UV rays or offer a scratch resistant coating for use in higher traffic areas. Ensuring a long lasting finish. We will work with your designer to create the effect you desire.